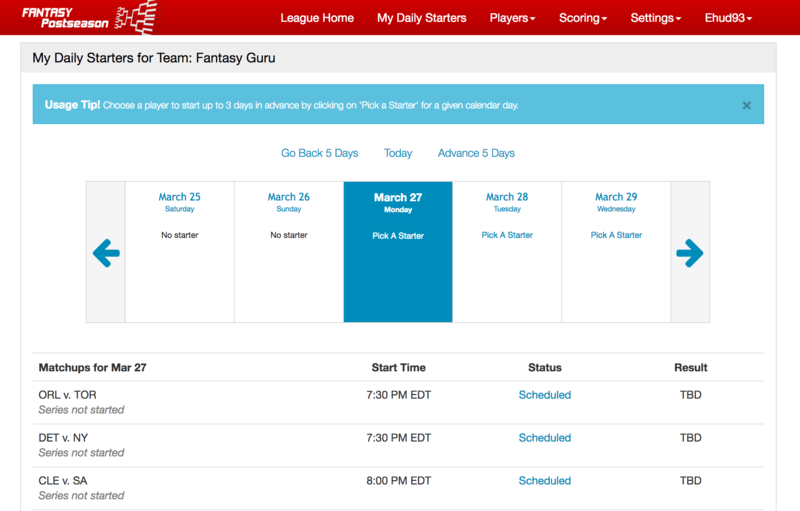 Planning for your NHL Playoff Fantasy Draft: Pick a Goalie First! We've been running playoff drafts for the NHL postseason for a number of years. There's one constant piece of advice that we can offer and that is to draft a goalie (or team goalie) from a team that has a potential to make a deep run towards the Stanley Cup. Unlike the plethora of forwards and defensemen, goalies are a limited resource. There are 16 teams in the NHL playoffs and usually one primary goalie per team. After the first round, the number of goalies is cut in half, and so on, and so on until you reach the two remaining during the Stanley Cup finals round. Consider the results of a playoff fantasy league with the following scoring settings for Goalies.